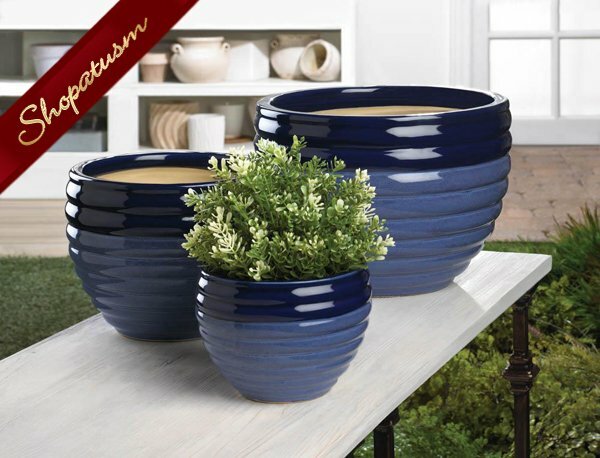 This set of ceramic planters includes three pots of various sizes in a serene two-tone blue finish. Mix and match these planters for indoor and outdoor use or display as a set on top of your favorite plant stand. Plants not included. Ceramic. Large: 12" x 12" x 8" high; Medium: 8" x 8" x 6" high; Small: 6" x 6" x 4" high.